SVSU knows there is no more noble of a profession than protecting and extending human life. Our pre-health professions students not only gain classroom experience but also real-world experience at local hospitals such as like Covenant HealthCare. Our students are provided with intriguing course material, dedicated faculty, elite internship and research opportunities and specialized advising to assist in finding placement at the medical school you aspire to attend. At SVSU, you’ll direct the course of your study and the experience you gain to appeal directly to the healthcare programs of your choice. We will support your goals each step of the way and help you reach the height of your potential. SVSU offers all courses and advisement necessary to prepare for entrance into the following health professions schools. Students who wish to pursue physical therapy will work with a dedicated pre-physical therapy advisor in the College of Health and Human Services. As a pre-health professions student, you will have the chance to pursue a degree in a number of different disciplines: neuroscience, biochemistry, biology and more. SVSU’s pre-health professions advisor, Heidi Lang, will help you select a major and set of elective courses that blend your academic passions with the preparation you need for the medical field. The medical path is an honorable but arduous road. That’s why SVSU provides every pre-health professions student with access to our Pre-Health Professions advisor, Heidi Lang. Starting your first year at SVSU, Heidi will assist you in crafting a four-year plan to prepare you for the medical field of your preference. The medical school application process doesn’t need to overwhelm you. With support for all your questions and opportunities to ensure you grow, we will keep you on pace throughout your tenure here. Two years of working alongside emergency room doctors at Saginaw's Covenant HealthCare taught Mackenzie Allen a lot. Through a partnership with the hospital, she worked as a medical scribe assisting the medical professionals with medical documentation and basic medical processes. Filled with a spirit of servant leadership, she wants to improve the care patients receive and help those who may not have access to adequate health care. Learn more about "Kenzie" and her pre-med journey at SVSU. From psychiatry to pathology, the pre-healthprofessions path paves a road to cutting-edge research, treatment and patient care. 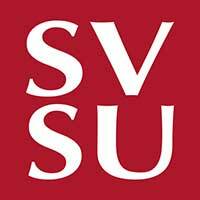 The first step on that journey begins at SVSU with making your medical school application distinct and compelling. As a pre-medical student, you benefit from MCAT study preparation, internship opportunities around the country and faculty research relationships to develop your skills for the medical field. Click to explore the full scope of the health profession. SVSU partners with Covenant HealthCare in Saginaw to provide pre-medical students with a rare opportunity to log hospital hours as undergraduate medical scribes. The program affords students numerous benefits: paid work experience, confidence with medical terminology, hundreds of clinical hours and relationships with practicing physicians — exactly the sort of skills and relationships that polish a medical school application. Click to connect with the program coordinator and learn more about the various facets of this exciting opportunity.